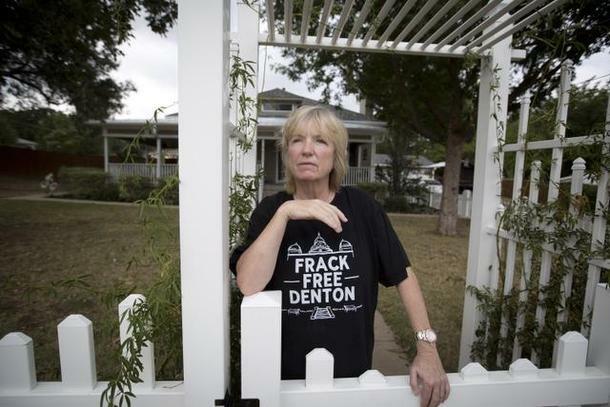 You’ll recall that the voters of Denton, Texas passed a fracking ban on election day. The 59-41 victory was remarkable because it made Denton the first city in the largest oil and gas producing state in the country to pass such a ban. It will probably come as no surprise to you that, as soon as the election results were announced, the Texas Oil and Gas Association filed a lawsuit to stop Denton’s efforts to control drilling. The premise of the industry association lawsuit is that the ban exceeds the limited power of home-rule cities and intrudes on the authority of several state agencies, particularly the Texas Railroad Commission, which regulates the oil and gas industry. This argument should sound familiar. It’s very similar to the one put forward by Energy Corporation of America attorney Mike Dockery with regard to the Montana Board of Oil and Gas Conservation in a letter to the Carbon County Commissioners last September. Dockery and ECA are telegraphing their intention. The company has no desire to work with Silvertip residents as good neighbors. They want their oil and they’re going to go to court to get it if they need to. But local residents should take a cue from the Denton Drilling Awareness Group, which led the grass roots effort to get the fracking ban passed. Cathy McMullen, leader of the group, said they plan to be an intervenor in lawsuits filed to challenge the ban passed by voters November 4. She said the group will be helped by attorneys with various areas of expertise, something they plan to announce this week. According to McMullen, the Denton Drilling Awareness Group plans to go to Austin when the Legislature reconvenes after the first of the year. Several lawmakers, including state Rep. Phil King, say they are prepared to offer legislation banning the ban. The oil and gas industry has no interest in working with local residents to find a compromise that meets the needs of local landowners. This puts them in distinct contrast to the Stillwater Mine, which has agreed to a binding Good Neighbor Agreement in Stillwater County. Drillers will sue to get what they want. Dockery’s letter comes right out of the industry playbook and should come as no surprise. Local residents should not shy from a fight. Expert legal help is available, some of it pro bono, and funds can be raised to pay for challenges to the oil and gas industry. The work of Helen Slottje, who recently spoke in Billings, is a prime example. The fight is not just about a single zone in Carbon County. As the Denton group shows us, the fight will likely be extended to the legislature, and to reform of agencies such as the Board of Oil and Gas. Keep in mind that the Silvertip landowners are not proposing a ban. They’re just exercising rights stipulated in Montana law to control how their land is used. The Silvertip Zone is important work, and what’s important is worth fighting for. This entry was posted in Community Organization, Politics and History and tagged Cathy McMullen, Denton Drilling Awareness Group, Denton Texas, Energy Corporation of America, fracking ban, Helen Slottje, Mike Dockery, Montana Board of Oil and Gas, Silvertip zone. Bookmark the permalink. water illegally, dump toxic waters at night, etc…..BEWARE and be ever vigiliant!